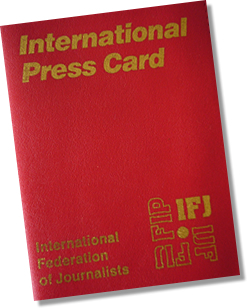 The European Federation of Journalists (EFJ) is supporting its affiliate, the Independent Association of Georgian Journalists (IAGJ), in calling to Georgian Government to take all possible measures to free Azeri journalist Afqan Mukhtarli. He was abducted by special services on May 29 in Tbilisi and secretly taken to Baku prison. The missing of Mukhtarli was reported by his wife Leyla Mustafayeva who, according to Eurasianet, said that her husband last called her on the evening of 29 May just a few blocks away from their home and then did not show up. The next day the Georgian police stated that a search for the journalist was underway, but the Azeri media later reported that the Azerbaijani border service department detained Mukhtarli. Independent investigative journalist Khadija Ismayilova confirmed that Mukhtarli was kidnapped from his neighborhood where he was forced into a car with his hands tied. “He was beaten, has a broken nose, bruises all over the head and his right eye and his rib may be broken,” his lawyer, Elchin Sadigov, told the Committee for the Protection of Journalists (CPJ). Mukhtarli was then taken across the border into Azerbaijan by car without his passport. Mukhtarli is a freelance journalist who has contributed to various independent outlets, including Meydan TV and published several critical articles about Azerbaijani President Aliyev and his family. He was seeking shelter in Georgia as Azeri government was planning his arrest due to reports about Aliyev’s family and corruption. “According to the government representative, the journalist was crossing the border at green area and was arrested by Azeri border guards,” said Zviad Pochkhua, the chair of IAGJ. “But according to the lawyer of Mr. Afqan in Baku, the journalist reported that he was abducted in center of Tbilisi, where unidentified persons took him to the border,” added Pochkhua. Georgian prosecutors office refused to show the videos from streets where Afqan was abducted. Mukhtarli’s lawyer confirmed that he is now being charged with trespassing, smuggling and resistance to law-enforcement. The Azerbaijani police also claim Mukhtarli was in possession of 10,000 Euros during the police search. 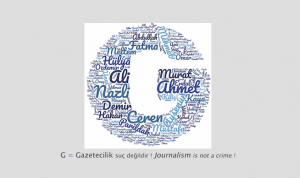 The IAGJ called Georgian Government to make public details of Mukhtarli’s disappearance and forceful return to Azerbaijan and to take all measures to ensure that other journalists in country are safe. They also called Government of Azerbaijan to free him, respect the rights of journalist and media freedom. 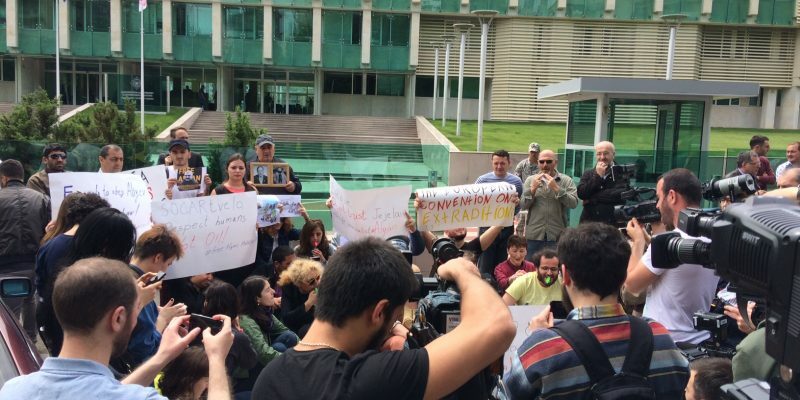 Dozens of people have demonstrated in the Georgian capital on 31 May to protest the alleged abduction and forcible return. 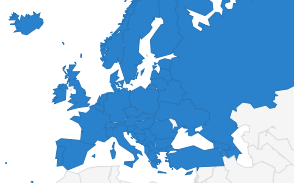 The EFJ also joined the alert submitted by Index to the Council of Europe’s platform for the protection and safety of journalists.